In 2013, Sony launched the PlayStation 4. Now, three years later, on Wednesday when Apple was revealing the iPhone 7, Sony was unveiling the PlayStation 4 Pro and PS4 Slim on a stage in New York. 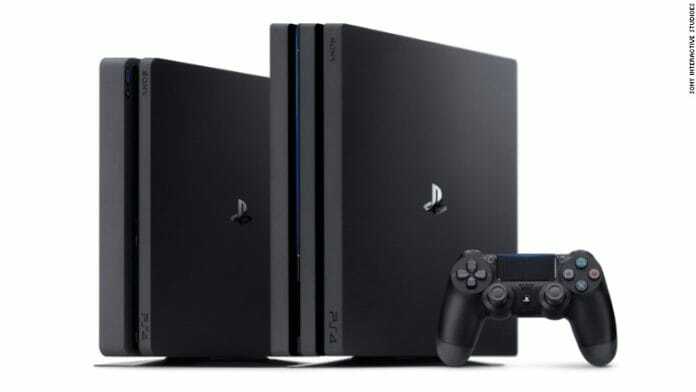 PS4 Pro will include an upgraded graphics processing unit, a boosted clock rate and larger hard disk drive. But current PS4 owners don’t have to replace all of their games, because current PS4 games will still work on the Pro. PlayStation 4 games are enhanced by supporting the latest technology – 4K resolution and High Dynamic Range otherwise known as HDR. Those excited about previously released games they have been playing will absolutely love having the upgraded GPU which is much more powerful as well as faster. The look is richer and more detailed than ever before! Sony’s goals is to make the PlayStation 4 Pro, a leap above the rest, in cutting-edge graphic and visual technologies. With more pixels than any past TV displays, the 4K’s higher resolution delivers graphics that are much sharper with greater detail than previously experienced. HDR gives us visuals much more like the way your eyes see in the real world. Also a lot of PS4 users watch movies, TV shows, and videos on their PS4. PlayStation is working with their partners, like Netflix and YouTube to build new apps for PS4 Pro. Netflix will release a new app upon launch of PS4 Pro that supports 4K. YouTube is also working on a new app for PS4 Pro that supports 4K. The PlayStation 4 Pro launches on November 10th of this year, at the original price of the PS4 at $399.99. Get ready because the holiday season will soon be upon us. Even if you own a HDTV that does not support 4K or HDR, PS4 Pro still has plenty of benefits. All games will run in 1080p resolution, and some will even run higher or with more stable frame rates, which none of us can complain about. If you’re a gamer that wants to have the latest and greatest, PS4 Pro is for you. Some developers are updating previously released PS4 games to give PS4 Pro support capability, while others are building PS4 Pro compatibility into upcoming releases. On the day of launch, you’ll be able to download patches for games like Uncharted 4, which are enhanced when playing on the new console. Later releases that will have PS4 Pro enhancements include Call of Duty: Infinite Warfare, Days Gone, Horizon: Zero Dawn, and Mass Effect: Andromeda. Games many of us can’t wait to get our hands on. Not ready for the PS4 Pro, but a PS4 is on your wishlist, check out the PS4 slim. 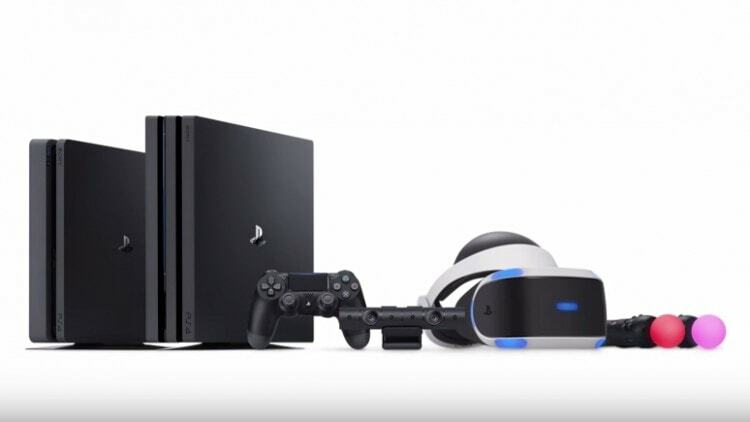 The design and engineering teams of PlayStation came together to combine the PS4’s high-performance technology into a smaller, more energy efficient version of the console. In comparison to the original PS4, the PS4 Slim is 30% smaller, with the power consumption decreased by 28%, and weighs 16% lighter than before. Despite the slim design, the new model has all of the same aspects that the Original PS4 has. The new PS4 slim will be available by September 15th for $299.99. That’s a great value for gamers who haven’t joined the PS4 community, yet. All PS4 systems as promised will have virtual reality capability with the upcoming launch of PlayStation VR. System Choice is yours to make, you’ll continue to be given the exclusive content from developers that you’ve come to expect from PlayStation. Whether you’re playing on PlayStation 4 Pro, the new slim version PS4, or the PS4 system you bought in 2013, you’ll have access to the same amazing games with the same features and same community that make PlayStation the best. There won’t be any gameplay exclusive to PS4 Pro or the standard PS4 like we’ve seen in the past with other consoles. In fact, the impact of HDR on gaming and entertainment is so promising that PlayStation is making all PlayStation 4 systems even all the way back to the very first console sold in 2013, HDR capable, now how about that..
Now, the real question is do you go with Sony or wait until the 2017 holiday season for Xbox Project Scorpio? Guess that depends on whether you are team Sony or Team Microsoft..or how patient you are!